Dee Gordon was out on his delayed attempt to steal home in the 10th and the Angels walked off with a 4-3 win. 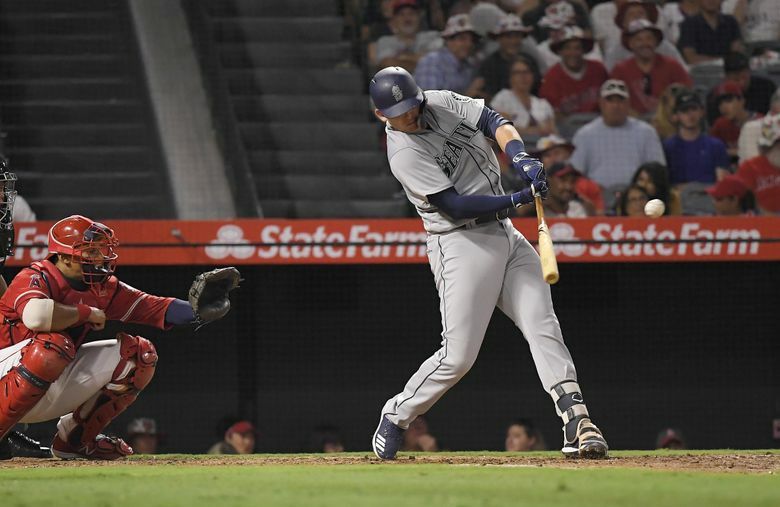 ANAHEIM, Calif. — It was a risky play made by a desperate team that is well aware of its run-scoring issues over the past month and the current fight for a postseason spot that felt like an inevitability in June. 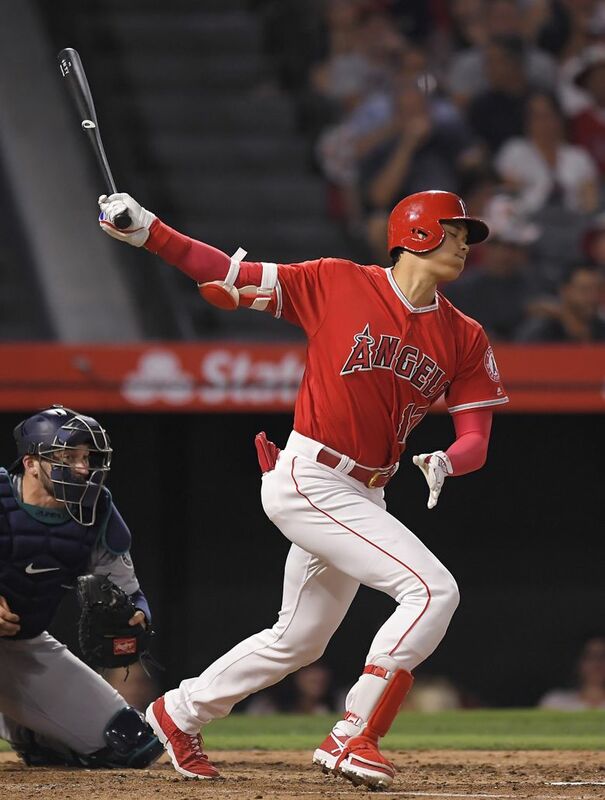 Perhaps worse for the Mariners was the explanation of what went wrong and the general confusion as to what was going on for a play that basically turned the entire game in the favor of the Angels. Dee Gordon’s delayed attempt to steal home on Jean Segura’s steal of second in the top of the 10th was at first ruled successful by home plate Kerwin Danley and then overturned by replay. 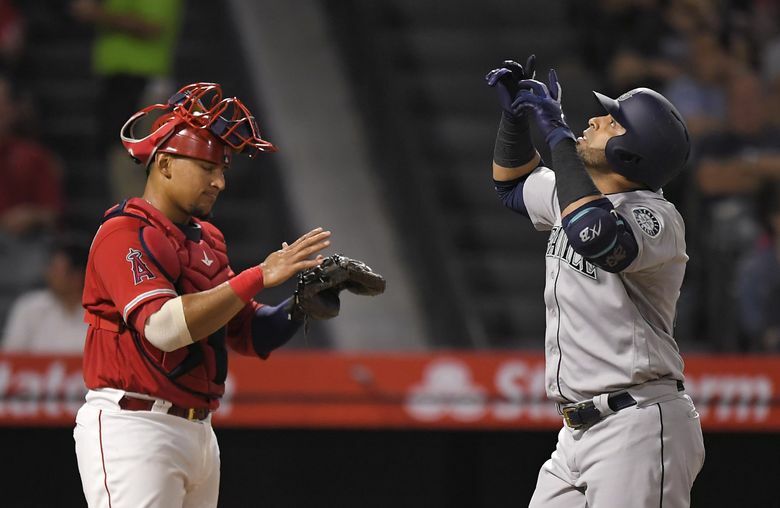 The negative outcome torpedoed the Mariners’ best chance to take their only lead on Friday night at Angels Stadium. And there would be no more opportunities after Mitch Haniger struck out looking with Segura standing on second to end the inning without a run scoring. 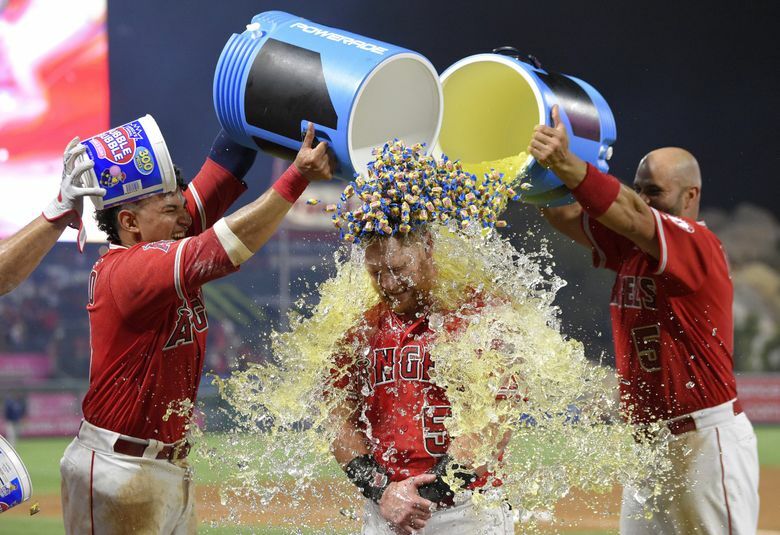 Kole Calhoun hit the first pitch of the bottom of the 10th inning — a gutted fastball from Juan Nicasio — over the wall in right-center for a walkoff solo homer and a 4-3 victory for the Angels. 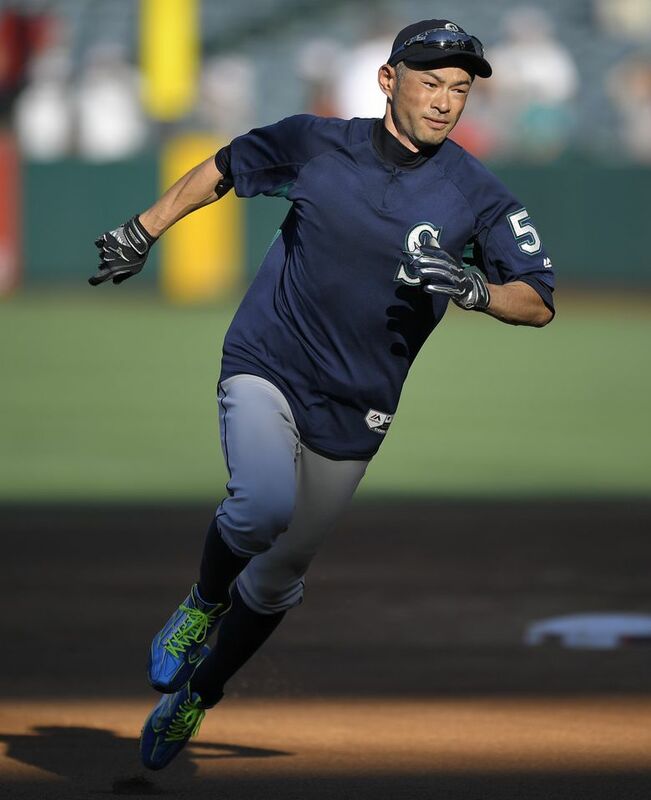 It was the first extra-inning loss of the season for Seattle, which had been 8-0. There are games where you get beat. There are games that you lose. The defeat that dropped Seattle to 61-42 on the season seemed to be the latter. 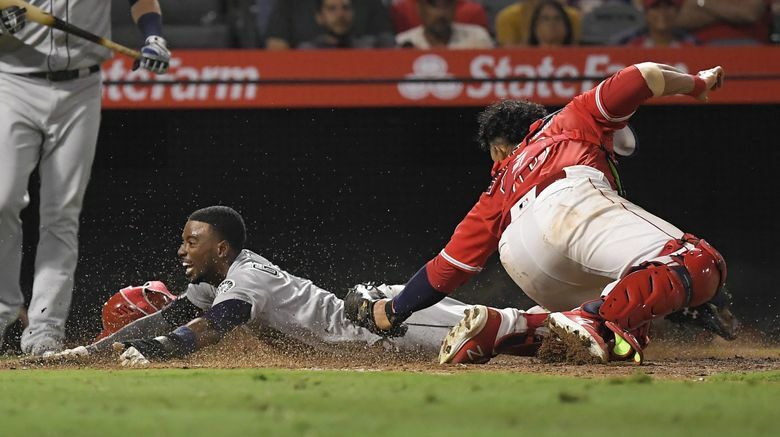 For the 13th time in the month of July, Seattle was held to three runs or fewer in a game, losing nine of them. 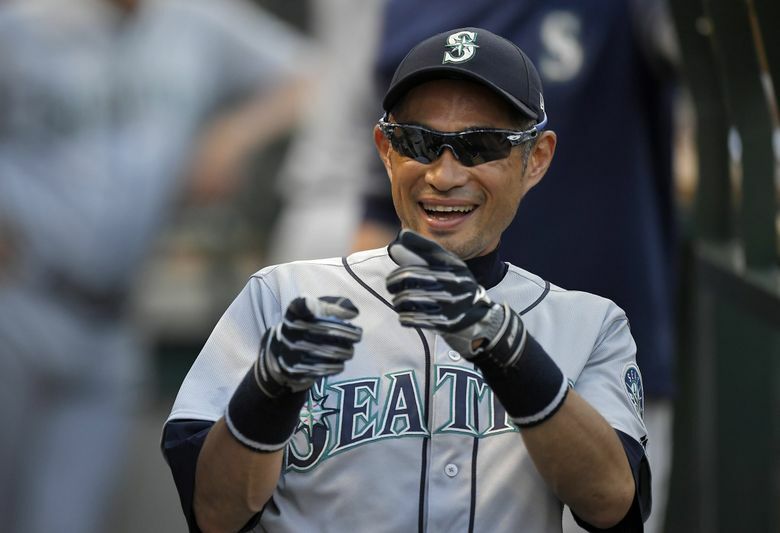 On the season, the Mariners are 18-30 in those games. Perhaps the only positive aspect of the night for the Mariners is that they still lead in the second wild-card race because the A’s lost 3-1 to the Rockies at Coors Field. But the play with Gordon getting thrown out at home stood out. The Mariners had Gordon on third and Segura on first with one out and Haniger, who leads the team with 67 runs batted in, at the plate. Three different times Servais said the play wasn’t by design. It certainly wasn’t a straight double steal given Gordon’s late jump. And Servais didn’t call for Segura to steal on that pitch, instead giving him the choice to choose when he wanted to go in hopes of staying out of a potential inning-ending double play. Segura had second base stolen easily, but second baseman Ian Kinsler had no intention of trying to make the play on him. He stepped a few feet in front of the bag and got the ball early, firing a perfect throw to catcher Juan Briceno, who applied a tag that apparently got just enough of Gordon’s jersey to overturn the original safe call by Danley. Gordon had a different interpretation of the situation. So this wasn’t just Gordon reading the play? So that isn’t an ideal situation. 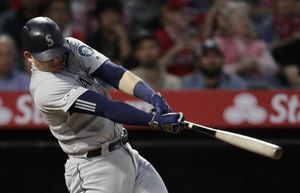 The Mariners had a chance to break the 3-3 tie in the top of the ninth, but the beaten down body of ol’ Albert Pujols mustered up a moment from his younger days. With runners on first and second and one out, Pujols made a diving stop on Chris Herrmann’s hard ground ball just past the first-base bag, hustled to his feet and got to first for an out. It saved a run if not more. Seattle starter Wade LeBlanc didn’t seem comfortable in the second inning of his outing. Normally a quick worker, he moved around the mound clearly bothered by something to the point it looked like he might be injured. No, it was an issue trying to grip the baseballs. He gave up a leadoff double to Pujols. A one-out walk to Ian Kinsler and a bloop single to Briceno loaded the bases. The Angels unloaded them quickly. Calhoun jumped on a first-pitch fastball, bouncing a double over the wall in right field to score a pair of runs. David Fletcher followed a sac fly to deep center field to make it 3-0. But that was all LeBlanc would allow. 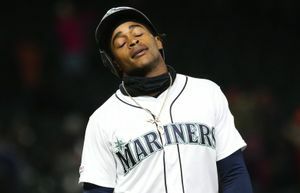 Despite not having anything near pinpoint command, he still gave the Mariners six innings, allowing just the three runs on five hits with three walks and six strikeouts. 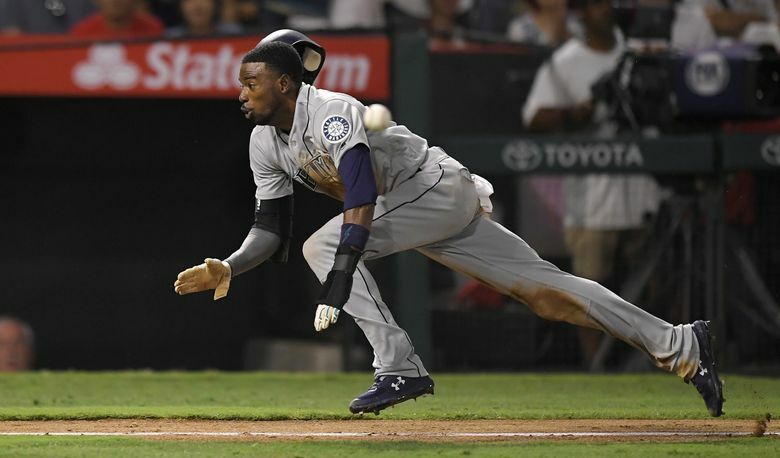 Seattle got a run back in the fifth inning against Angels starter Andrew Heaney. Mike Zunino took full advantage of the fences of Angels Stadium, lifting a high fly ball to right field that stayed just inside the foul pole where the stands curl to 350 feet. Right fielder Calhoun made a leaping attempt at the ball, but came up just short. Given the Mariners luck of late, it was almost surprising that Calhoun didn’t make the grab. The Mariners trimmed the lead to 3-2 in the seventh when Nelson Cruz smashed a solo homer to deep right-center. It was Cruz’s 23rd homer of the season. The Mariners hope it’s something that will get the big DH going. Coming into the game, he was hitting just .188 with a .523 on-base plus slugging, one homer and six RBI in 17 games in July. For a moment, it looked as though the Mariners might have tied the game one pitch later. Kyle Seager sent a deep fly ball to center field. But it wasn’t quite deep enough. All-everything center fielder Mike Trout made a brilliant leaping grab at the wall to take away a sure extra-base hit and possible homer from Seager. Seattle got that run in the top of the eighth. 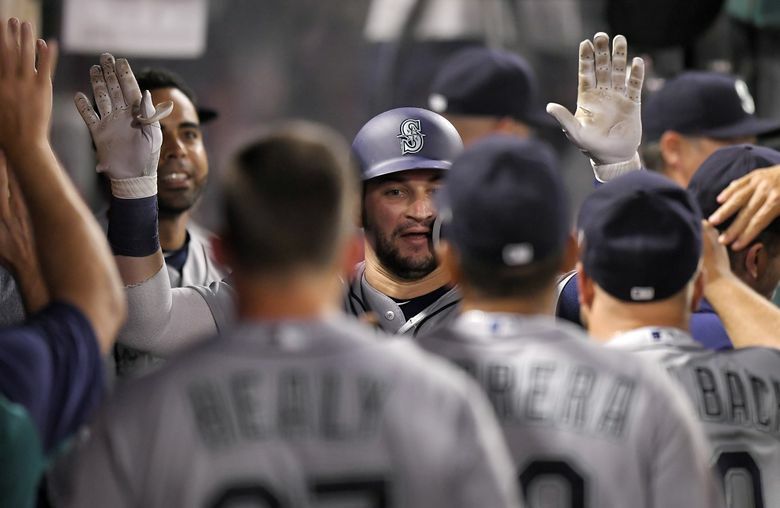 Zunino led off the inning with a double over the head of left fielder Justin Upton and later advanced to third on Ben Gamel’s ground out to second base. After seeing so many hard hit balls gloved on the night, Guillermo Heredia did the opposite. With the infield playing in with the runner at third, Heredia looped a soft blooper to shallow right field that landed in the grass for an RBI single to tie the game at 3-3.